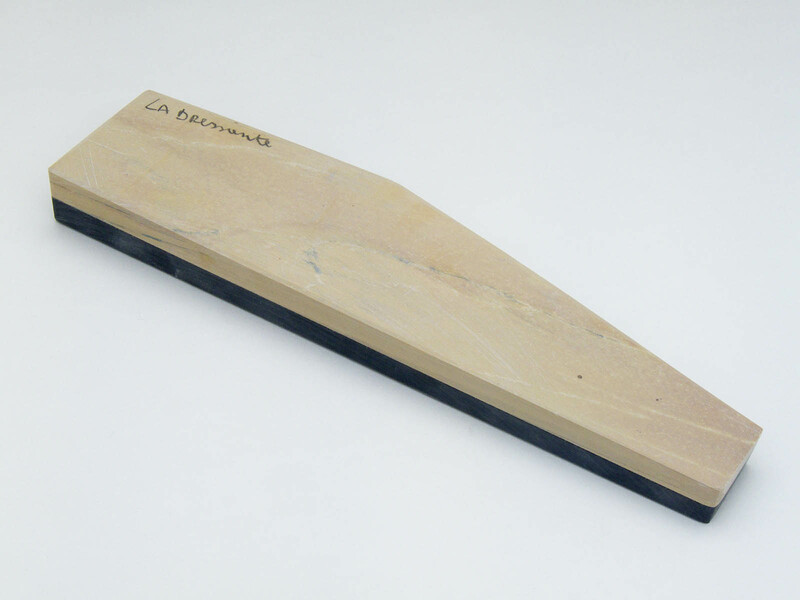 size: irregularly shaped "bout" 20cm long, 4cm at widest side, 5cm at widest point, 2,5cm at narrowest side. slurry: a modest sensation of fine abrasion, typical sound of "sharpening steel" Slurry turns gray quickly. water:very faint sensation of abrasion.